Assessment of people with a neurocognitive disorder is a complicated and interprofessional process. Health professionals lack a common language to describe cognitive deficits limiting interprofessional communication and care planning. 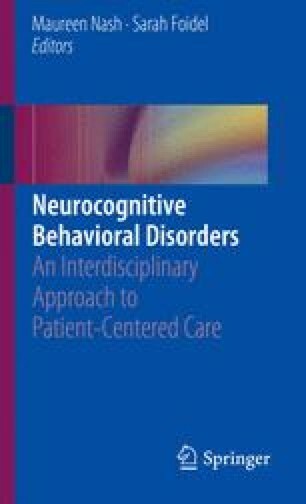 This chapter details a unique approach by using the DSM-5’s cognitive domains as a framework for assessment. In addition, performance-based testing and functional observations are emphasized. Functional assessments are an excellent tool to emphasize strengths allowing robust person-centered care.